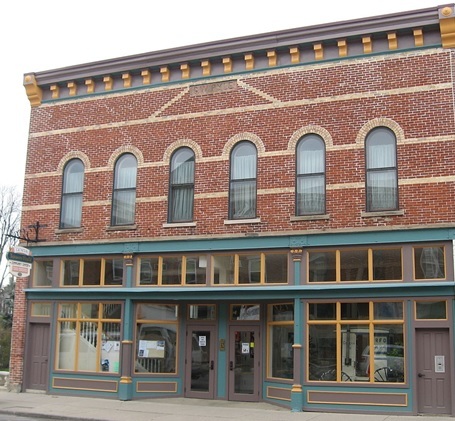 The Pyle Building, located at 411 E. Line St., shows the historic charm and perserverance of both Geneva and its residents. Originally built in 1898 and owned by H.W. 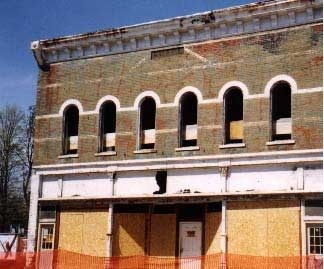 Pyle, the Pyle Building has housed several businesses throughout its long history. However, it was in need of a major overhaul in the early 2000's; some actually believed that it needed to be torn down, and at one point it was condemned. In 2003, the Town of Geneva and Geneva Proud joined forces with contractors and architects. Financially armed with grant money, a venture was underway to turn a delapidated, 2-story brick structure into a functioning facility. ​Due to the disintegrating integrity of the structure, only the original exterior brick walls, concrete floor, and part of the roof could remain; everything else had to be replaced, and is therefore brand new. 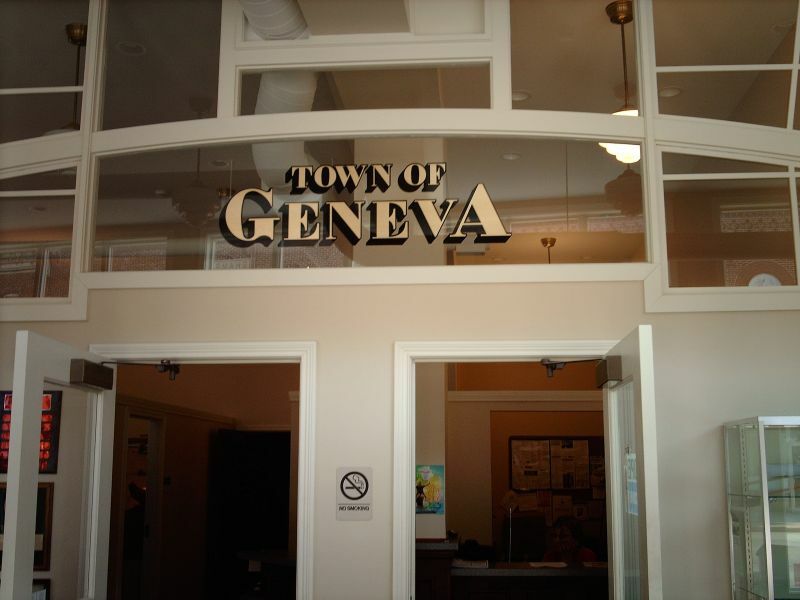 The goal, set by the Town's Government and hired architect, was to design a structure that captured Geneva's historic charm, but would also be functional, housing not only the Town Hall but the Police Department as well. In 2004, this goal was met, and occupancy took place. 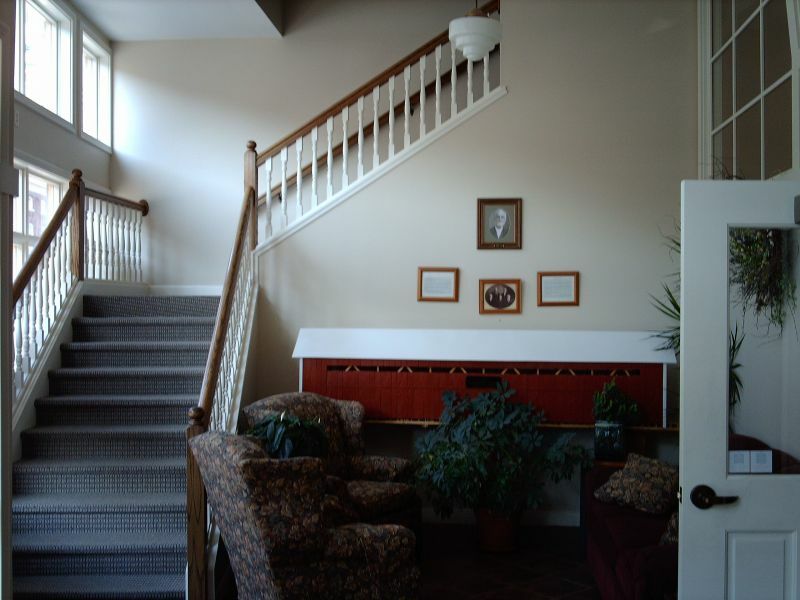 Today, only the pictures on display in the second floor Community Room remain of the once dilapidated structure. 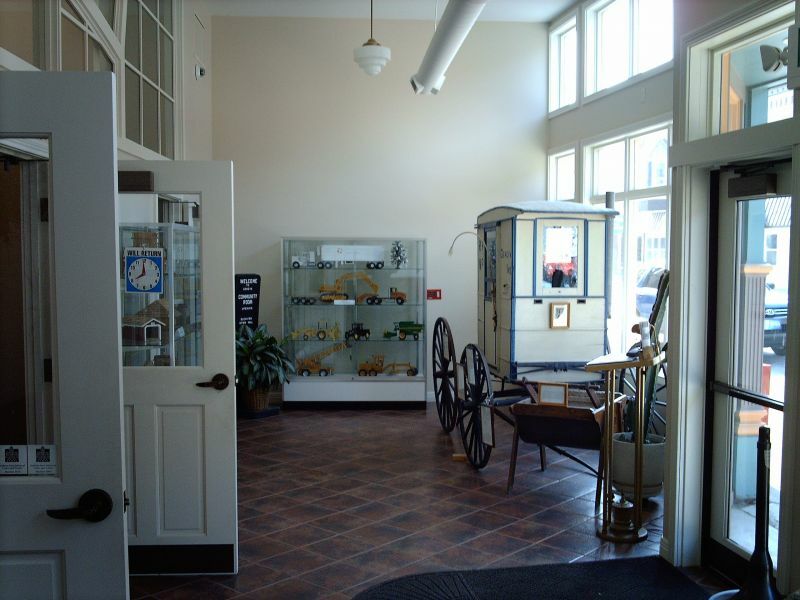 The Pyle Building holds local Government and the Police Department on the first floor, while the second floor houses a large Community Room, a Class Room and an Office for Civil Organizations of the Town. Local events and classes take place in the upper level, including annual holiday events for children organized by the building's many occupants.